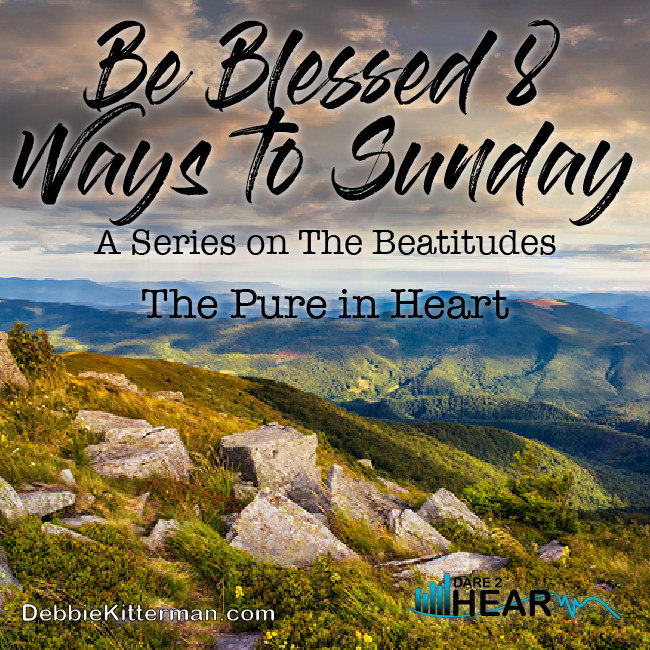 Welcome to week seven of my series on The Beatitudes. I glanced around the house in a panic and saw what I already knew to be true… it was a disaster! The kid’s books and toys were everywhere. I had piles of clean laundry still unfolded on one end of the couch and then there was the kitchen. The kitchen table had piles of papers, bills, mail, and a variety of other items stacked and scattered on it that I had still not put away. I grabbed the laundry basket, piled it high with the clean clothes and raced it to my room, dumped them on the bed and repeated the process until the couch was clear. We then gathered all the toys and miscellaneous items, put them in the laundry basket and stuffed those in our room too. In fact, we did the same thing with all the items on the kitchen table too. I rushed the last load of items to our room and was about to shut the bedroom door when the doorbell rang. Whew, just in time. By all appearances the house looked clean. Lived in yes, but it looked clean. No one would be the wiser, just as long as no one opened the door to our bedroom that is. The house did look cleaned, yet if you looked closely, especially behind the closed bedroom door, you would definitely notice that it was anything other than clean. Have you ever done something like that? Oh please, tell me I am not alone. Sometimes, this is how it is when we think about cleaning our spiritual life and heart. We fix up the outside and make it look pretty and shiny. We will even clean certain areas of our life or heart, and sweep, shove, and push some stuff in the corner closet of our heart. We put a smile on our face, and pretend all is well, when in reality, it is not. Somehow, we try to convince ourselves that if no “sees our stuff” then we are ok. However, that is the farthest thing from the truth. In fact, we more than likely didn’t do anything to solve the real problem. We are called to clean our spiritual heart, not sweep or shove “our stuff” into the closets of our heart. Scripture is clear. Jesus is not concerned with our outward appearance as much as we are. Nope, He is concerned with the condition of our heart and our heart attitude. #Jesus is not concerned with how well we look on the outside. He is concerned about the condition of our hearts. Pure in heart does not mean pure intentions. It does not mean looking like we have it all together. In the same way that “poor in spirit” emphasized our spiritual poverty, Jesus puts the emphasis here on us being pure in heart. He wants us to have a heart that is spiritual pure. Not a perfect heart, but a heart that longs for His touch. A heart that is not ashamed to call out to Jesus and ask for forgiveness. Jesus was addressing head on an issue that was prevalent in His day, as it is in ours. He was telling the people that having a pure heart is about the inside not the outside. It was not about looking spiritual, doing the right rituals, or saying the right prayers. It is more about the truth inside our hearts and allowing the two to line up. 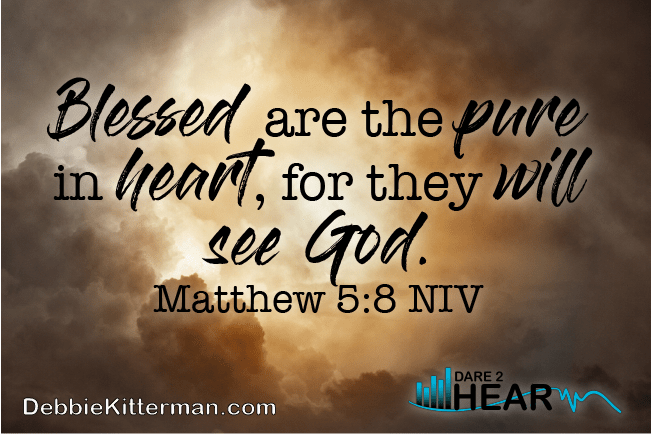 God longs for us to call out to Him and desire a clean, pure heart. A heart free from sin. It is not something that we can earn or work for on our own. Nope, we cannot make our own hearts pure, it must come from God. It is only in the acceptance of Jesus’ sacrifice on the cross and in repentance (asking God to forgive us our sin), that our hearts can be made pure. Just as David prayed “create in me a pure heart, Of God.” (Ps 51:10) We need to do the same. men and women who are not given to lies or deception (The Voice). Only those who have asked to be made new and clean will be able to see God. This is what it means to be pure in heart. As we move closer to God, we can stand upon the promises of His Word that He will come closer to us, and we will indeed see Him. Move your heart closer and closer to God, and he will come even closer to you. fBut make sure you cleanse your life, you sinners, and keep your heart pure and stop doubting (James 4:8 The Passion). Come close to the one true God, and He will draw close to you. Wash your hands; you have dirtied them in sin. Cleanse your heart, because your mind is split down the middle, your love for God on one side and selfish pursuits on the other (James 4:8 The Voice). Oh #God create in me a pure heart. Thank you for the wonderful story about cleaning up on the surface, but hiding the mess behind closed doors. I think most families can relate to this. I love how you link this to the beatitudes. Debbie, I too have hidden things in my bedroom last minute! Good application of the scripture today. Glad so many clicked on my post last week. It’s going viral on Pinterest, and I’m honored to help others on a hard subject! Blessings to you, friend. You are not alone! I’ve also hidden dirty dishes in the oven with a note to myself not to turn the oven on . . .
I’m laughing while reading this because I literally just asked my husband to help me shove things in closets and under beds to prepare our guest room for my parents to come today! This is a great analogy to needing pure hearts. Thanks for this message! My house always LOOKS picked up, but don’t open my closets or drawers! Seriously, though I love this: “He wants us to have a heart that is spiritual pure. Not a perfect heart, but a heart that longs for His touch.” My heart is not perfect but it does long for Him! I want Him more than anything. you are most welcome Lauren. Those prayers aren’t always easy, but they do show we are longing for Him, don’t they? We have all cleaned house that way, I even heard one lay say she threw stuff in the dryer. I was working on a closet just last night, too much spiritual clutter, just like other clutter is not good for us. I like thinking about a pure heart, I told my mother that is what she is, even though she holds on to peacemaker. I’m sure you can have more that one attribute though. Sharing an amazing miracle today, thanks Debbie. 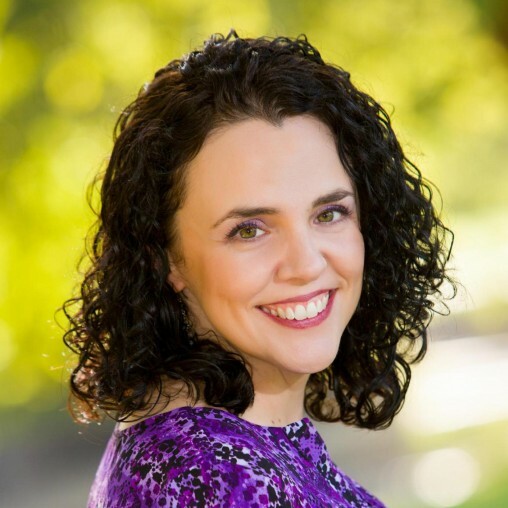 Rebecca – I look forward to reading about the amazing miracle you shared about today. and yes, I was hoping everyone could relate to the cleaning and shoving things away to make it appear clean, when in reality it’s not. Also, yes, you can have more than one attribute, how cool is that!? Have a blessed day and thanks for being here. I’ve definitely done that housekeeping trick too, Debbie; you’re not alone. 😉 Love this definition of a pure heart: “Not a perfect heart, but a heart that longs for His touch. A heart that is not ashamed to call out to Jesus and ask for forgiveness.” This is within our grasp! And we are blessed because of it. I so appreciate this series. Oooh 15 minute Fish tacos? Those sound delicious, as do the other recipes. Thanks for linking them up today. Oh God create a pure heart within me! Amen! Amen and Amen from me too Jennifer. Loving your words. Thanks for always sharing them. Thanks for hosting and I hope that you are having a wonderful weekend. As always, I come away from your reading with new wisdom! Thank you! “Not a perfect heart, but a heart that longs for His touch.” Man, I love this!!! And the tomb was a perfect visual to what goes on when someone cleans the outside, but not the inside. I want to be one who is pure in spirit and sees my Father!! Your neighbor at Destination Inspiration. Yes, I have been there trying to clean up at the very last minute! It is stressful. And just like my house needs the extra touches to make it company-ready, my heart definitely needs the holy touch of my Lord. Thank you for sharing a medley of truth and wisdom from the Beatitudes. It is a great reminder about what really matters. Cheryl – I am so very glad to have you as my neighbor. Thank you for stopping by to visit. You are most welcome for the words, I love how you said it… : a medley of truth and wisdom. I really like that, thank you!